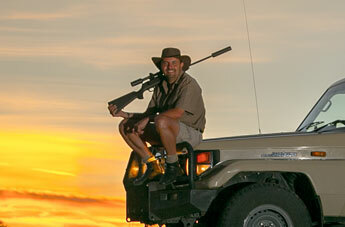 About Cruiser Safaris, host and outfitter Pieter Lamprecht, our hunting and camp staff. 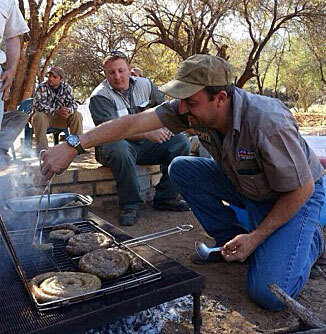 Your host and Outfitter at Cruiser Safaris is Pieter Lamprecht. 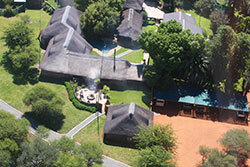 Through this family owned and operated business Pieter brings to you a lifetime of experiences in the Limpopo Province. Although his family tree in South Africa dates back to the 18th century, their roots in this province all began in 1925 when his Grandfather first purchased land here. 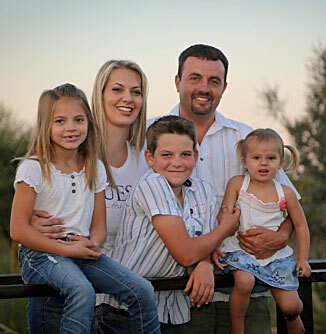 Pieter’s children are the fourth generation to live on this property. His native-born Father and Uncles were enthusiastic "Big Five" hunters. 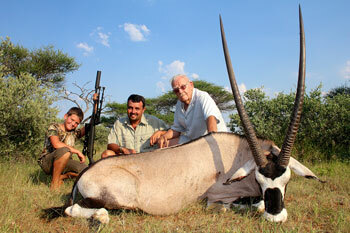 Following in their footsteps Pieter started hunting when he was only 5 years old! 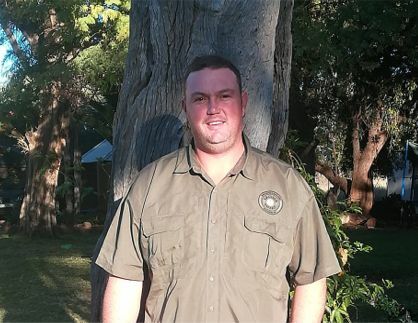 His passion for wildlife evolved over the years and in the early 1990's, due to his desire to share his intimate knowledge of the South African Bushveld and wildlife with others, he completed his Professional Hunting Course. 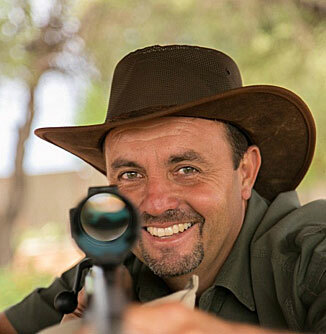 Pieter gained experience as a Professional Hunter and so appreciated guiding foreign hunters through their dream of hunting “The Dark Continent” that he decided to start his own outfitting company and established Cruiser Safaris in 1995. Because he owns the land, lodge, vehicles, etc. there is no need to lease those things or hunt on concessions where other outfitters hunt as well. He also has exclusive hunting rights on several concessions that we do hunt and advices those land owners for well-planned game management policies to insure sustainable numbers of healthy game. 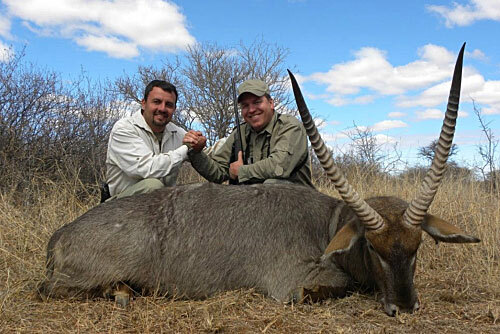 With Cruiser Safaris, you always know where you will be staying and that you will be hunting quality trophy animals. 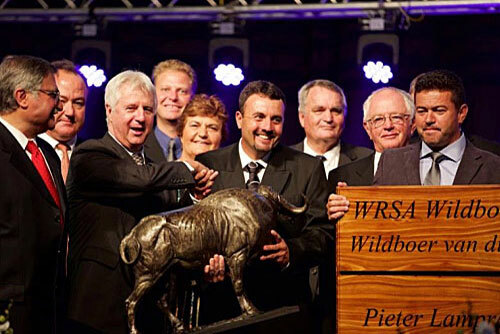 In 2014 Pieter received WRSA’s prestigious Wildlife Rancher of the Year Award. The top eight nominees for this award go through an extensive in-depth two-day evaluation process which covers all aspects of their organization, from wildlife game management practices to the accurateness of recording keeping and everything in between. 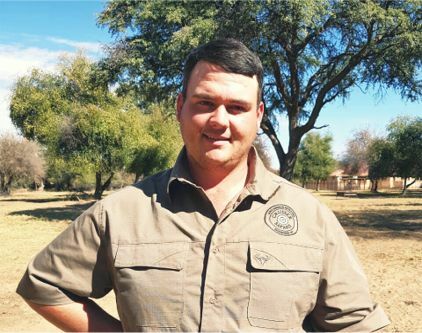 Pieter has proven that he runs a well-organized and established, self-sufficient operation [farm] that encompasses all aspects of the industry [game management, breeding and hunting) that is not funded by any outside source. We were immediately met by the owner Pieter and his wife... Most outfitters I have hunted with that would have been the last time I seen the owner but not at Cruiser. …I loved the fact the owner was so involved with the day to day aspects. 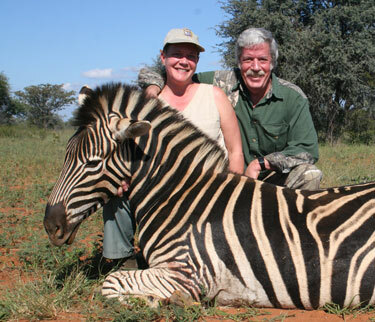 ... Pieter truly does a remarkable job of maintaining trophy quality animals for his clients. ... Pieter and his staff do such a great job that you will find yourself wondering when you can come back even before you have left. 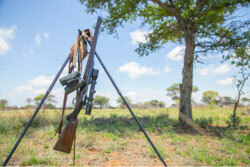 In addition to his Outfitters License, Pieter's hunting camp, modern trophy preparation facilities, vehicles and staff are inspected and certified by law. He is a member of Safari Club International and PHASA (Professional hunters association of South Africa) and his team of professional hunters support Safari Club's Code of Ethics (see below). Since January 1st, 2001 “Cruiser Bob” Clark has been our US and International Contact and Booking Agent. 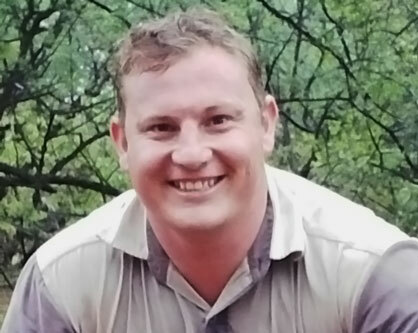 He and Pieter stay in close contact striving as a team to make the dream of hunting South Africa a reality for our clients from all over the globe. Bob has acquired a vast knowledge of the country and hunting there for the express purpose of passing that information on to our clients. You can be assured that Pieter, Bob and our website speak with one voice to give our clients the best available information, hunting prices and options, and the most successful and memorable safari experience possible. Bob and his wife Leesa also maintain our website so if you ever have any questions, comments or suggestions regarding the site, please don’t hesitate to contact him. From being as little as I can remember I have had the will to hunt. I grew up on a farm where I had my first warthog hunt at the young age of 5 years and from there on I have had countless hunts on a wide range of species. I am a very driven and passionate hunter and do my best to provide my clients with thier biggest expectations. Craig is a seasoned professional hunter who has been with the Cruiser family since 2006. He is a load of fun, which is why the kids will enjoy him as well as novice hunters on their first African hunting safari. He is an excellent hunting partner, and will spot anything that moves. This family man brings a unique perspective to hunting, and has plenty of stories to share about days spent in the bush. My passion is definitely the outdoors, everything it has to offer. Hunting, fishing and just the beauty that comes with nature. I hunted my first animal when I was 7 years old, and from there on everything started, I was hooked. I grew up on a farm luckily, and wouldn't change a thing. The reason why I love being a PH is making people's dreams come true, especially when people appreciate the animal. Our skilled trackers will drive the hunter and the hunting guide where they need to be, then they will be on standby until they are needed to help track an animal, or to fetch the client. They will also do the skinning, so that you can relax back at base. They undoubtedly have skills that cannot be taught, their senses in the bush are just on another level. 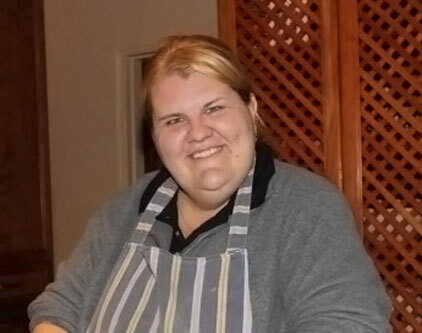 About Chef Delmarie and Dining at Cruiser Safaris. 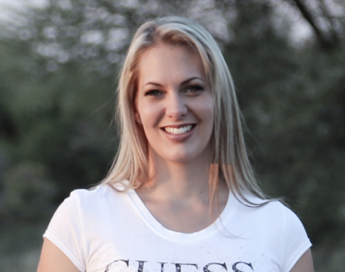 Pieter’s wife Lizelle is a licensed helicopter pilot and aids in game evaluation, management and recovery and also, with the assistance of her mother, Elize oversees daily lodge operations. 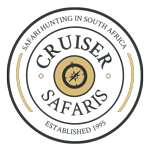 Everyone at Cruiser Safaris is committed to making your safari successful and year after year they have provided quality hunting, trophies and fond memories for hunters from around the world. Find out more about and see images of our hunting location. Remember, we tailor your hunt for your wishes and abilities. Find out more about our modern, exclusive, first-class, comfortable and family friendly hunting lodge accommodations. 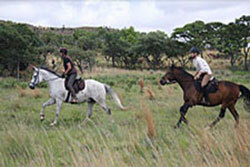 Find out more about the other activities available for you, your family and hunting or non-hunting companions to enjoy. Safari Club International (SCI) is a worldwide organization that promotes wildlife conservation through responsible utilization. It also is the world's largest and most active international big-game hunting organization. The organization motto is "Conservation of Wildlife, Protection of the Hunter and Education of the People". Visit Safari Club International's website. If you're interested in joining Safari Club International, click HERE. To improve my skills as a woodsman and marksman to ensure humane harvesting of wildlife. To waste no opportunity to teach young people the full meaning of this code of ethics. To reflect in word and behavior only credit upon the fraternity of sportsmen, and to demonstrate abiding respect for game, habitat and property where I am privileged to hunt. Every sport hunter shall pursue an animal only by engaging in fair chase of the quarry. Fair chase is defined as pursuit of a free roaming animal or enclosed roaming animal possessed of the natural behavioral inclination to escape from the hunter and be fully free to do so. Said animal is to be hunted without artificial light source, not from a motorized mode of transportation and in an area that does not by its nature concentrate animals for a specific purpose or at a specific time, such as at a waterhole, salt lick or feeding station. No ethical hunter while sport hunting shall take female animals with dependent young. A sport-hunted animal should exist as a naturally interacting member of a wild sustainable population located in an area large enough for it to breed and forage or hunt freely. Sport-hunted animals should be sustained within a natural state of balance between forage, predators and prey.